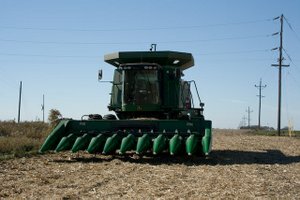 The 2013 Farming Season is already here, do you believe your combine is your first tillage pass for fall tillage in the preparation for spring? We do! Everything you do, right now, this fall, will impact your season for next year. We feel the road map to success is being prepared. Even before you combine, having a crop plan in place is the most important part of your future. Your plan: Consider what expectation you had going into this 2012 season. Now that it is at the years end what you accept or don’t accept with in those expectations is how you will feel going into 2013. Will you go into the New Year feeling positive about the 2013 crop? Here a few possible expectations for next year’s crop. Weather you can work with and the potential to grow your best yields ever. Make sure that your plan includes Risk Management, Grain Market Protection, and Crop Production. Make sure you are in the game, ready with no surprises. Don’t be left out of the game with many surprises, they can be expensive! You have to expect the unexpected; after all you can’t predict Mother Nature. So go into 2013 with a clear mind, be flexible and remember it is better to re-educate yourself on the things that are available to you (crop production, crop insurance, grain marketing, financial analysis) versus to re-assume the decisions that you made. Stay ahead of the curve and surround yourself with people that are positive and working with your to hit your yield goals. You have to have a crop production plan that is based on growing the best crop possible. Your risk management plan is for protecting against the worst case scenarios that Mother Nature will throw your way. Contact Us or call 320-523-2252 to find out all that we can assist you with for the remainder of this year and of course 2013 as it is already upon us!